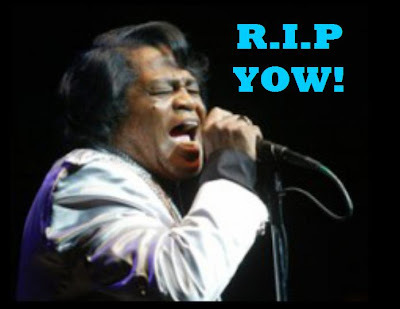 Poor James Brown died at 73 years old on Christmas morning after suffering from pneumonia for a few days. James Brown had called a bunch of his friends from the hospital to let them know he was looking forward to performing this New Years Eve, but his heart stopped just a few hours later. James was instrumental in making soul music what it is today and I must admit I do a killer James Brow impression. Sad. Sad over the death. Sad over my James Brown dance impression.